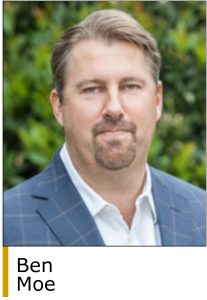 Industrial and Institutional Sales Group (I&I Sales), a portfolio company of Osceola Capital, has acquired Cinpak, a manufacturer’s representative group providing outsourced sales and marketing services. Cinpak is a manufacturer’s representative group serving the disposable, tabletop and janitorial supplies industries in Texas, New Mexico, Oklahoma, Louisiana, Arkansas and Mississippi. Cinpak’s product offerings include disposable take-out packaging, pizza boxes, cutlery, cups, plates, bowls, gloves, wipes, bags and buffet supplies. The company, led by CEO Tony Lasita, is based in Austin, TX (www.cinpak.com). “Cinpak has been a premier service provider to its manufacturers and customers for over 20 years and it was important to us to find a partner with the same level of commitment to quality and service that has allowed us to be successful over our history. We believe we have found that partner in Osceola and I&I Sales,” said Mr. Lasita. The buy of Cinpak is the third acquisition for I&I Sales which was formed by Osceola Capital in June 2017 to initiate a roll-up of manufacturer’s representative companies serving the janitorial and sanitation industry. 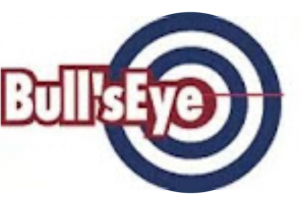 The first two acquisitions for I&I Sales were the June 2017 buys of Wayne, PA-headquartered Henson Sales Group (www.hensonsales.com) and Hershey, PA-headquartered Bull’sEye (www.bullseyeinc.net). With the close of the Cinpak acquisition, I&I Sales now represents manufacturers of janitorial, sanitation, disposables, safety, equipment and supply products in 26 states across the Northeast, Mid-Atlantic and South. The group’s manufacturing clients are active in the production of cleaning chemicals, hand soap, mops, mats, trash liners, gloves, take-out packaging, and disposable cutlery and tableware. “We are thrilled to have Cinpak join the I&I Sales family. Tony Lasita and his team have built a strong business with a reputation for partnering with high-quality manufacturers, adding significant value to its product offering, and generating excellent and consistent customer satisfaction. We look forward to continuing that same level of service post-transaction,” said Ben Moe, a managing partner at Osceola. Osceola Capital Management makes control investments of up to $20 million in companies that have revenues of $5 million to $50 million and EBITDA of $1 million to $10 million. Sectors of interest include business services, healthcare services, tech-enabled services and industrial services. The firm was founded in 2014 and is headquartered in Tampa (www.osceola.com).